petition: Urge Trailhead Kingston, Chris James Kingston & aOne Clothing to stop selling fur! Urge Trailhead Kingston, Chris James Kingston & aOne Clothing to stop selling fur! I am starting this petition to encourage three local businesses in Kingston, ON to stop supporting fur and the cruelty behind the fur industry by discontinuing selling their fur products and Canada Goose apparel. I will be writing this petition from an educated standpoint, someone who has worked with wildlife and the outdoors throughout the years. I believe that every animal deserves respect, and many are unaware of how animals are treated behind the scenes of some notorious, violent industries such as that of the fur industry. Each year over 50 million animals are killed for their fur, whether the animals are raised in a fur farm or wild animals are trapped. The infamous leg-hold trap is STILL legal in every province and territory across Canada and remains the most widely used, despite being banned in many countries (including the EU), as well as Florida, Rhode Island, New Jersey and Arizona. 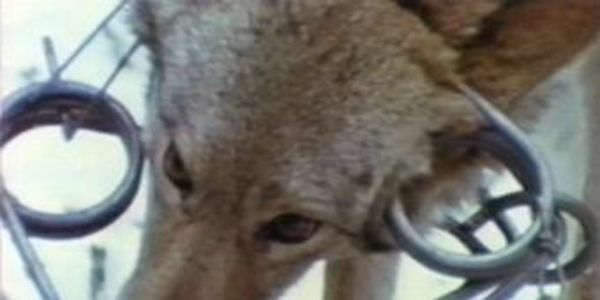 The American Veterinary Association, the American Animal Hospital Association, the World Veterinary Association, the National Animal Control Association, the Humane Society of the United States and the Sierra Club all oppose the leg-hold trap. While leg-hold traps with ‘teeth’ have been banned, all leg-hold traps (including the remaining models) have the same intention: to prevent the escape of an animal who is fighting for his or her life. Many animals die trying to free themselves, as well as from dehydration, blood loss and hypothermia. Some animals become so desperate, they break teeth chewing and/or twisting off their own limbs to escape. While in Canada, no laws on these traps have been changed, as Canada generates a lot of revenue from the fur industry and these methods may be considered easier to trappers. Unfortunately, many non-target animals are also caught in these traps, such as domesticated pets, and other species of wildlife. The sad truth is that there is absolutely no justification for an animal to die a slow painful death, to merely take its fur for fashion purposes. Studies have shown that animals feel emotions similar to humans, anxiety, pain, fear, love, and joy. The acts of cruelty from trapping any animal are completely sadistic and barbaric to say the least; and one must not feel any sympathy for the animal that is having their life taken from them to provide fur for a major retailer of Canadian apparel. Whether the fur is obtained from animals raised on a fur farm, or from animals killed in the wild, the fur industry is unethical and one can simply not wear a jacket and support these industries while claiming to be an animal lover. It simply doesn't meet terms. Farmed animals that are raised for fur are another issue. Fur farming is a major cause of climate change, and is very unsustainable, although some may agree that it can be sustainable, the truth is it has many negative impacts to the environment. Canada Goose buys their fur from auction houses that sell all sorts of fur, including farmed fur. Some sources have even made it clear that dog and cat fur can be used in their products, imported from Asia as it is cheaper and legal in Canada, sadly. In an effort to sway the public, Canada Goose has a “fur policy." Unfortunately the statements made in this “policy” are not intended to inform the discussion on fur, but rather misinform the public with the sole purpose of carrying on with ‘business as usual’. Most Canadians already know that the fur trade is inherently violent, and that fur products derived from this violence are also inherently frivolous. Marketing tactics are used commonly to lure a possible customer into believing the specific product is great, while taking the attention off of the negative aspects of the product. Canada Goose plays several roles in marketing their products, one being the fact that Canada Goose loves to evoke iconic imagery of research scientists hiking along the unforgiving Arctic tundra. So if Canada Goose makes coats for the “coldest places on earth”, why are they all over Toronto, Montreal, Vancouver, and every other city in Canada? And moreover, why has it been described as “the uniform of the inner city aged 16-to-24 year olds” by Randy Harris, president of market research firm Trendex North America? The truth is that around $50 million of Canada Goose’s annual sales are what CEO Dani Reiss calls “fashion-driven”. Canada Goose products are a fashion trend and warmth is merely a selling feature. Reiss even admits that the badge on the arm of a Canada Goose jacket makes “people feel like they belong to a club”. The truth is, there is no such thing as humane fur. As a local to Kingston I am shocked that Trailhead Kingston, Chris James Kingston and aOne Clothing would support such a cruel industry and sell it to potentially uneducated customers. With Queens University students being a convenient location from these businesses, it is no surprise why many may like to have the latest fashion trends and as of 2016, Canada Goose apparel is becoming more common amongst the students and youth of Kingston, the majority potentially unaware of the truth behind the brand. Many businesses and fashion retailers refuse to sell such products, as synthetic fur is quite readily available, less costly and just as appealing to suit ones style. Bonus: You will not be supporting animal cruelty. There have been many businesses throughout Canada that have received negative backlash and criticism from knowingly selling inhumane fur products, specifically those designed by "Canada Goose." Many of these businesses have discontinued selling fur products and have listened to the voice of the public. My goal is to encourage Trailhead Kingston, Chris James Kingston and aOne Clothing to do the same. This is 2016, fur is inhumane and the fact that retailers still sell this knowingly to generate income and make profit for their business is morally wrong. So before you spend $500+ on Canada Goose Apparel, I hope you take these facts into consideration and make the right choice. If you are interested in learning more about the fur industry further information can be found online and throughout many wildlife organizations in Ontario. Please join me in urging Trailhead Kingston, Chris James Kingston and aOne Clothing to discontinue selling their line of Canada Goose apparel/fur products. Thanks to everyone who has signed the petition encouraging these businesses to stop selling fur products. Please continue to share, and may the previous winter 2015/2016 be the last season that these businesses will have had fur/Canada Goose products in stock. I will keep the petition updated with any further progress. Great work everyone. Thank you to everybody who has signed the petition. Each signature goes a long way to promote humane alternatives and to stop the sales of fur & Canada Goose products in Kingston, ON. We have reached the goal and are now over 1000 signatures. I will be collecting and delivering the signatures/petition as of this weekend, February 13th, 2016. Thank you to everyone who has signed the petition so far to urge these local businesses to discontinue selling inhumane fur products. I have updated the petition to include one other local business located in Kingston that I have recently found out is also selling Canada Goose apparel. Please continue to share and we can win this, to keep the majority of Kingston free of unnecessary and inhumane fur products. I will keep the petition updated with progress. Thank you!